Maritime and Aerospace key sectors in Malaysia for investment and support. The prime minister of Malaysia Datuk Seri Najib Razak said the Lima 2013 (International Aerospace and Maritime exhibition) was well situated to take advantage of the growth in military spending in Southeast Asia which went up by 13.5 per cent last year, with Asian defence spending set to overtake Europe for the first time. 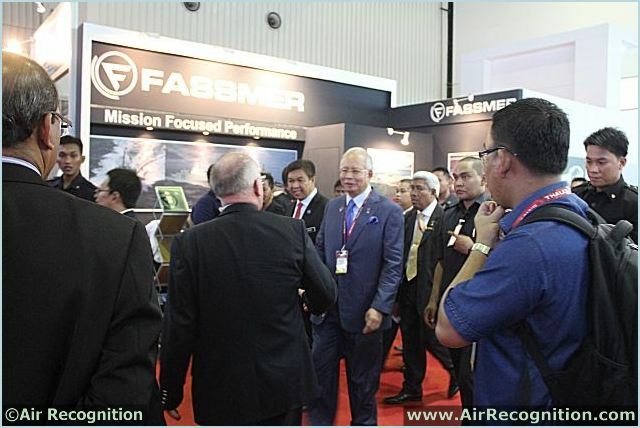 Prime minister of Malaysia Dato' Sri Haji Mohammad Najib bin Tun Haji Abdul Razak at LIMA 2013, Aerospace and Maritime exhibition in Langkawi. "Military modernisation programmes continue to drive defence spending in Asean. (The) acquisition of ships and aircraft, drones and armoured vehicles will continue to be the focus of procurement within the region and form the majority of defence procurement spending until 2020," he said when launching the 12th Langkawi International Maritime and Aerospace exhibition, LIMA 2013. Najib said Lima was important for Malaysia as the government had identified the maritime and aerospace industries as key sectors for investment and support. He said the launch of the Malaysian Shipbuilding/Ship Repair Industry Strategic Plan 2020 at the last edition of Lima and the recent inclusion of the industry in the Economic Transformation Programme were clear acknowledgement of its importance, not just in accelerating Malaysia's growth but also in providing high-income jobs. "We have also pushed aviation to the centre of our industrial policy. Through the Malaysian Aerospace Council, we have steered the development of the aviation industry." Najib said the aviation industry had grown from RM8.2 billion in turnover in 1998 to RM30 billion, with more than 230 active companies and a workforce of 65,000. Last year, he said the aerospace industry recorded RM2.3 billion in investments, creating 2,700 new jobs.